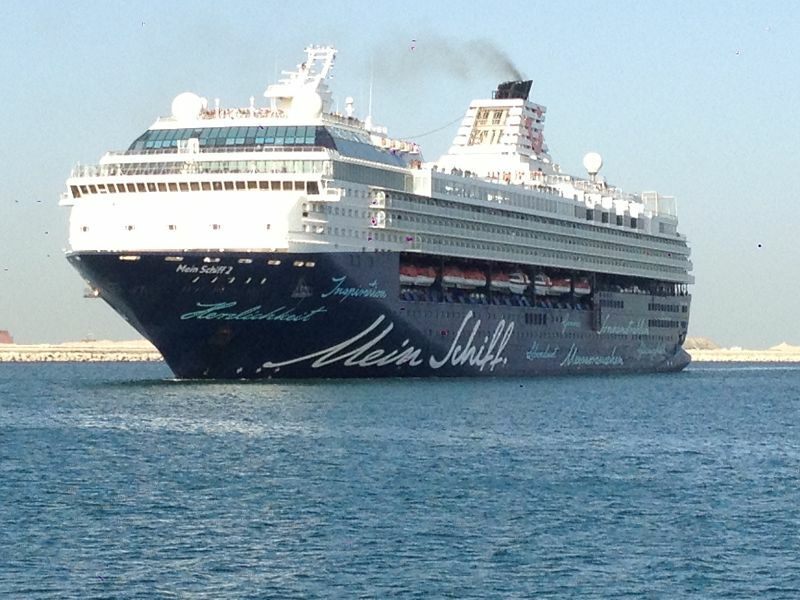 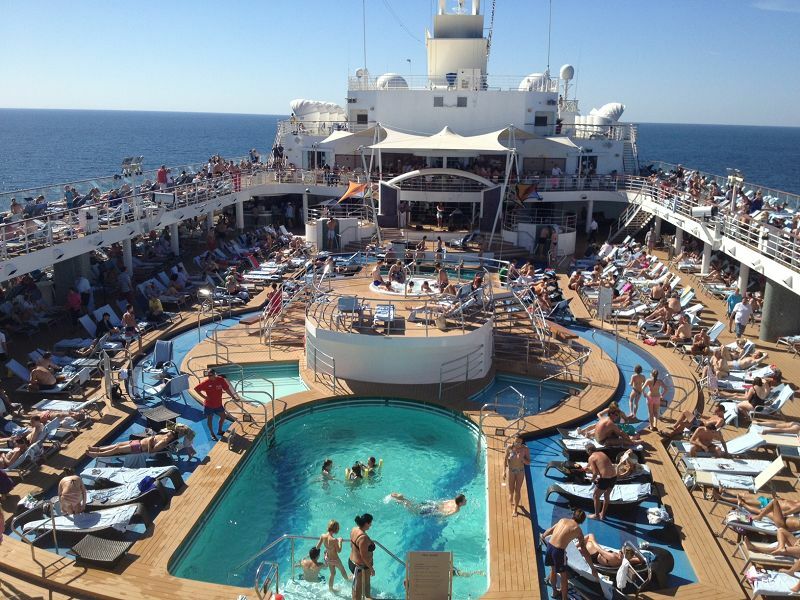 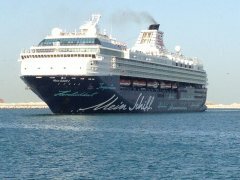 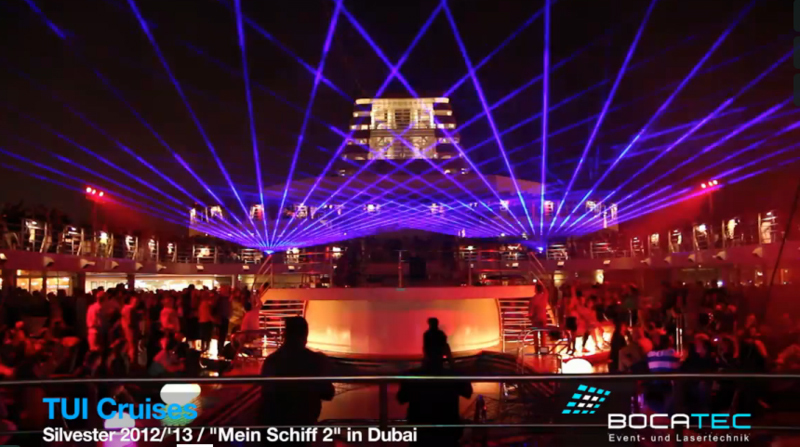 Our partner Bocatec created a very special highlight for the guests of the TUI cruise 'Mein Schiff 2'. 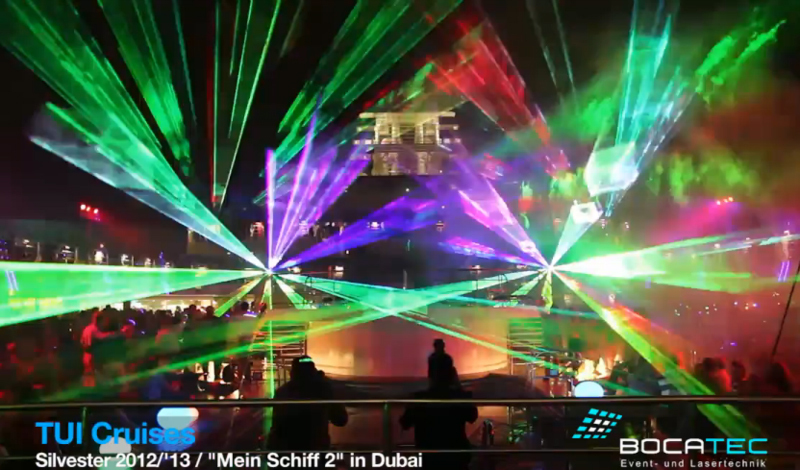 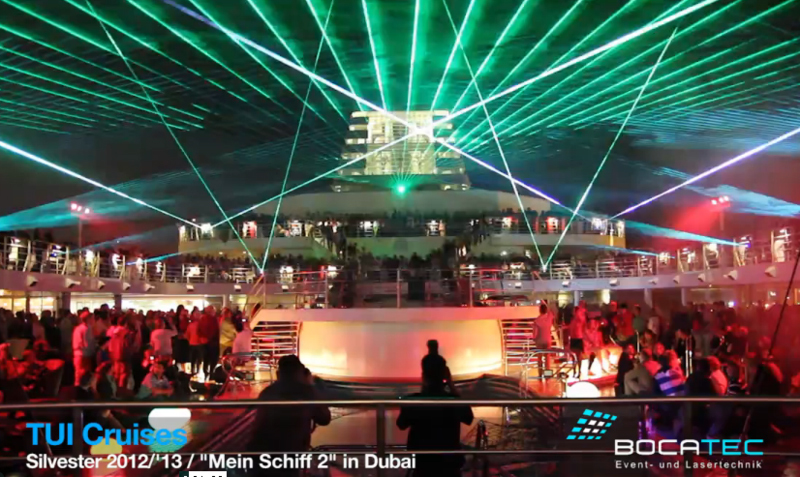 For the breathtaking lasershow, which took place during a crusiade in the Arabian Gulf, Bocatec has used 10 SwissLas PM-3200RGB, 5 RTI Piko RGB 14.0 and some fog machines and hazers. 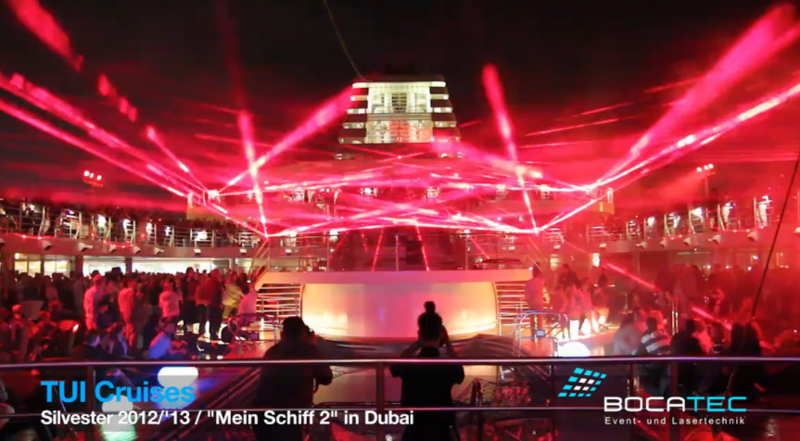 This expample shows again how versatile the Laserworld rental devices can be used.